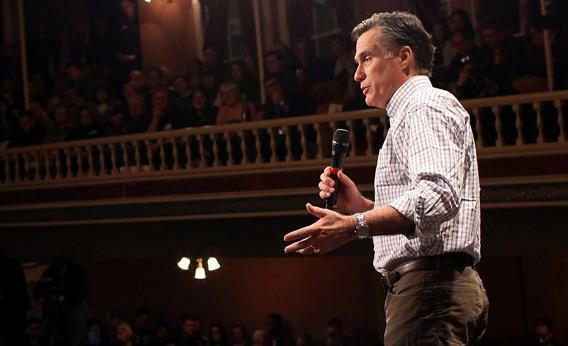 Mormons in America: A new survey reveals that Mormons aren’t just a bunch of Mitt Romneys. A new survey reveals that Mormons’ beliefs aren’t always what you’d predict. Mitt Romney’s candidacy has brought considerable attention to and interest in to Mormon beliefs. and most hold much stronger conservative views than the general public. Three-quarters support a smaller government that provides fewer services. The same percentage say having an abortion is morally wrong. Two-thirds believe homosexuality should be discouraged. While these facts are worth noting, the Pew report, read more closely, complicates the identification of Mormons with the Republican Party, and highlights aspects of the faith that most Americans are likely unaware of. For instance: Nearly as many Mormons said that “working to help the poor” is essential to being a “good Mormon” (73 percent) as believing “Joseph Smith saw God the Father and Jesus Christ” (80 percent). By contrast, just less than half of Mormons believe that abstaining from coffee and tea is essential to being a good Mormon, and 32 percent rate “not watching R-rated movies” as essential. Those familiar with the Mormon “Law of Consecration” will be less surprised at this result than those whose knowledge of Mormons comes primarily from following the Republican primaries. That law is laid out in one of the major Mormon scriptures, a book of modern revelations called the Doctrine & Covenants, in which Joseph Smith is instructed by God that “thou wilt remember the poor, and consecrate of thy properties for their support that which thou hast to impart unto them, with a covenant and a deed which cannot be broken.” This revelation led to the establishment of a communitarian system among the early Mormons called the United Order. That experiment didn’t last long, but the Law of Consecration is still invoked by Mormons in, for instance, discussions of the church’s welfare program. Whatever Mormons may think about the U.S. government’s welfare system, a portion of their church tithing does fund a welfare program specifically for other Mormons—and this, too, may influence Mormon attitudes about the importance of helping the poor. I also wonder if those attitudes inform LDS opinions on immigration: Mormons, as the Pew survey demonstrates, have a more positive impression of new immigrants than what you might expect from such a conservative group. Forty-five percent say that “immigrants strengthen the U.S. because of their hard work and talents,” while 41 percent believe they “burden the U.S. by taking American jobs, housing and health care.” On a conference call this morning, a Pew researcher said that there is a link between serving a Mormon mission and having a positive impression of immigrants. Even for experts on Mormonism, the whole survey is worth reading. Who would have guessed that Mormons were more likely to view yoga as “a spiritual practice” than other Americans (27 percent vs. 24 percent)? And while “the way Mormons are portrayed on TV and in the movies” is largely seen as detrimental to “society’s image of Mormons,” a slight majority of Mormons say that “news coverage of Mormonism is fair.” If it’s read as more than just a survey of Mitt Romney’s electoral prospects, the Pew study should make it more so.